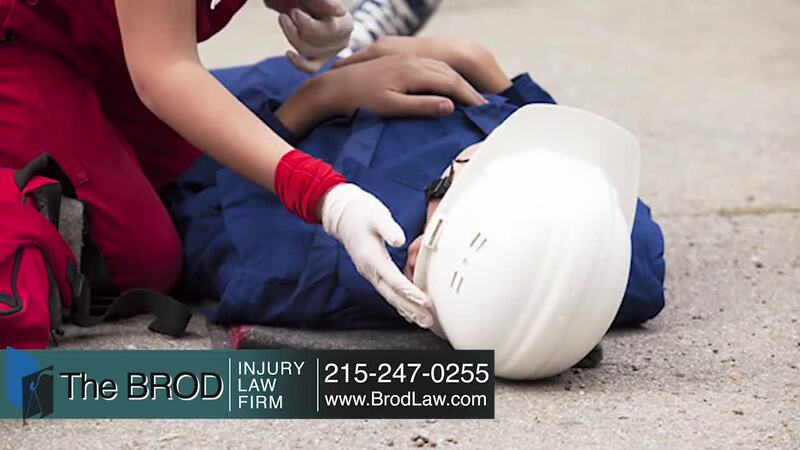 The Brod Law Firm's Montgomery County, Pennsylvania area medical malpractice lawyers are experts in this area of law. Our medical malpractice attorneys accept cases wherein victims sustained injuries as a result of negligence on the part of a doctor, hospital, or other health care provider. If the doctor did not offer or provide adequate or routine care to the patient and this results in injury, the victim is eligible to receive monetary compensation. Despite medical advances, birth injuries still occur in nearly one quarter of all births. During the birth, if the baby is injured in any way, the injury is defined as a "birth injury." Birth injuries can occur for a variety of reasons, but most commonly are associated with complicated labor. The injuries that a newborn can receive during the birth range from minor to severe and can even result in death. Under the direction of the law in Montgomery County, Pennsylvania, our medical malpractice attorneys can help victims of baby birth injury receive compensation for physician negligence. Some common traumas that newborns suffer are fractured limbs and bones, oxygen deprivation and brain damage. The most severe brain damage can result in mental retardation, infant death and Cerebral Palsy. Often, The Brod Law Firm's Montgomery County area medical malpractice lawyers find that these injuries are the result of neglect on the part of doctors or hospitals. Not all infant birth injuries are the result of medical malpractice, but if you question the care you or your infant received during childbirth, contact the Pennsylvania medical malpractice attorneys at The Brod Law Firm today in Montgomery County. Medical malpractice lawyers can help you receive compensation if you or your child was a victim of medical negligence. Some common injuries resulting from surgical mistakes include paralysis, spinal and brain injuries and unnecessary amputation. Our Montgomery County, Pennsylvania area medical malpractice attorneys have litigated a range of medical malpractice cases, including cases where the injuries the victim received were severe, and even fatal. If you question the care you or a loved one received during surgery, we encourage you to contact the Montgomery County, Pennsylvania area medical malpractice lawyers at The Brod Law Firm today. Contact us to find out more about our Montgomery County medical malpractice lawyers. It is the responsibility of the hospital to provide adequate care for its patients. Unfortunately, in Montgomery County, Pennsylvania, medical malpractice lawyers are often retained because hospitals fail to provide this basic care. If a hospital is negligent and a victim suffers injuries as a result, the victim is eligible to receive monetary compensation. Medical staff including doctors, dentists, nurses, clinical technicians and any other hospital employee are responsible to provide adequate care. Under law in Montgomery County, Pennsylvania, medical malpractice attorneys and their clients can hold hospitals liable for negligence or mistakes made by hospital staff. Despite continuing medical education and training, the Medical Institute recently reported that medical errors are responsible for at least 44,000 deaths each year in the United States. This number is probably higher, but many cases go unreported. At The Brod Law Firm in the Montgomery County, Pennsylvania area our medical malpractice lawyers are committed to assessing your malpractice case and helping you receive the compensation you need to move forward from your injuries. Contact Gary Brod personally to learn more about what our Montgomery County area medical malpractice law firm can do for you. Misdiagnosis or failure to diagnose cancer is more common than most patients know. When a doctor fails to recognize early signs or falsely diagnoses cancer, the physical and emotional trauma that a victim experiences can be disastrous. At The Brod Law Firm in Montgomery County, Pennsylvania, our medical malpractice lawyers have successfully litigated many cancer misdiagnosis cases and garnered awards for our clients. Another mistake physicians can make is to misdiagnose cancer. This occurs when the doctor gives the victim a diagnosis of cancer when the patient does not have the disease. In these instances, the victim can be subjected to unnecessary medical testing and even undergo painful medical procedures, such as chemotherapy. These cases have occurred in Montgomery County, Pennsylvania and our medical malpractice attorneys encourage you to call us today if you have been the victim of this unfortunate circumstance. Our personal injury lawyers will work with the victim to ascertain compensation for the medical procedures and for the physical and mental pain and suffering caused as a result of a false diagnosis. If you or a loved one is a victim of cancer misdiagnosis, we encourage you to contact the Montgomery County, Pennsylvania medical malpractice lawyers at The Brod Law Firm today. Medical malpractice attorneys can help you receive compensation if you or a loved one was a victim of misdiagnosis. At The Brod Law Firm we want all of our Montgomery County, Pennsylvania area medical malpractice clients to receive fair compensation. Our lawyers recommend that you take several important steps if you believe that you have received insufficient care from a hospital or medical provider. First, question the doctor. If he or she is unable to give you a good answer for the unexpected results or injuries, it is possible that medical malpractice has occurred. To strengthen your case for court in Pennsylvania, our medical malpractice lawyers also encourage you to document every conversation you have or have had with your medical provider. It is important to document the risks your physician did or did not inform you of. Under no circumstances should you sign any documents or agree to any interviews that could potentially be used against your case in the future. Finally, contact The Brod Law Firm to consult with one of our expert Montgomery County, Pennsylvania medical malpractice and personal injury lawyers regarding your case. Remember, time is of the essence and it is possible that your attorney can gain valuable information soon after the injury that he or she might not be able to gather later. Our Montgomery County medical malpractice lawyers are very convenient to many areas, the Main Line, i.e Merion, Merion Station, Haverford, Upper Darby and Havertown as we are close to City line Avenue and approximately one mile from Route 76 (Schuylkill Expressway ) and next to major public transportation lines. We are very convenient to the Philadelphia areas of Manyunk, Roxborough, East Falls, Overbrook Park and West Philadelphia. At The Brod Law Firm, our team works hard for your rights. Contact our Montgomery County office for a free medical malpractice case review today. Call The Brod Law Firm anytime at 888-435-7946 (888-HELPWIN) for a free no obligation consultation and explanation of your legal rights. We also have the option of an easy phone sign-up process and we can begin work today.